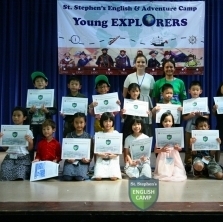 English & Adventure Camp at Khao Yai 2019: Open for enrollment!!! St. Stephen’s International School, Khao Yai is an international day and boarding school for students in year 2-13. The school is situated in a natural environment just minutes from Khao Yai National Park, less than a 2 hour drive from Bangkok. St. Stephen’s International School, Khao Yai is accredited by the Western Association of Schools and Colleges ( WASC, USA) and is licensed by the Thai Ministry of Education. St. Stephen’s Khao Yai has a sister campus in Bangkok located on Viphavadi Rangsit Road for day students in Nursery to Year 13. If you’re the adventurous type, this camp was made for you! Adventure, survival skills, teambuilding, and all the thrill of the forest in Khao Yai National Park. Remark: Our camps are normally full in advance therefore please download application form, make the payment and submit to: gee.t@sis.edu to reserve the place. The objective of our English and Adventure course is to help the students to grow in confidence and be able to express their ideas using English. This year’s theme is ‘Young Explorers Camp’, or ‘Back to the Future’, which, is designed to introduce campers to the experiences of famous explorers from the 12th century to the present day. 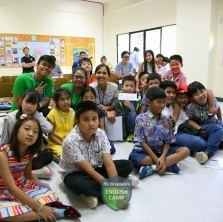 The campers will learn about transportation, geography, people, customs, different centuries and discoveries etc. The campers will participate in many activities. We will encourage the campers to work as a team and collaborate together to achieve their goals. Also, they will be encouraged to formulate questions and gather information which will help them when learning and planning their own exploration on land, in the sea or into space. The campers will be challenged to solve tasks that will improve their deduction and logic skills. This will improve their vocabulary and ability to describe events and people through the ongoing ‘Pioneers’ role-plays during the camp. All of our project classes are presented in English and students are assigned to a class which best matches their English ability and age. Our curriculums are designed in advance by qualified and experienced curriculum writers and include a variety of activities for each day to allow for all ages and abilities of students to participate fully. On the final day, all students will have a chance to present their ideas and projects to parents and other visitors in English. Daily activity classes also supplement our project classes. These fun classes allow all of the students to interact with a number of native English speaking teachers, exposing them to a variety of nationalities and accents. Students will also participate in many other exciting and educational activities and events such as Sports day, swimming pool party, hiking in the Khao Yai national park and a fun day in a local adventure park. We also arrange trips to the ‘Sang Darm Song Cheevit’ temple, Thai Elephants Conservation Centre Khao-Yai and Science World waterpark where students will pay their respects. Our famous evening activities such as The Next Top Model, and Talent Show, will be here again along with many more new exciting events. On the final day there will be another one of our well-recognized stage performances that will of course involve the participation of all of our students. All parents are invited to attend on that day! © 2012 St.Stephen's International School. All Right Reserved.